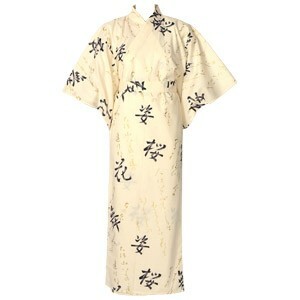 An ankle-length cotton yukata with kanji (? - cherry; ? - shape; ? – flower ? – dance) design. The main background colour of the gown is yellowy cream. The pattern is accented by metallic gold.